Hand Painted Dog-Tag Mock-Up ensures premium quality and customize-ability. Convey your message or show off your logo in unique way. - Hand painted to ensure premium quality and extreme customize-ability. - Every element (even painted layers) are individual layers so can customize the way you want. - Three styles (Embossed, Bevel & Rough paint) to give you options and style of shape/text you want. Experience users can also create custom styles. 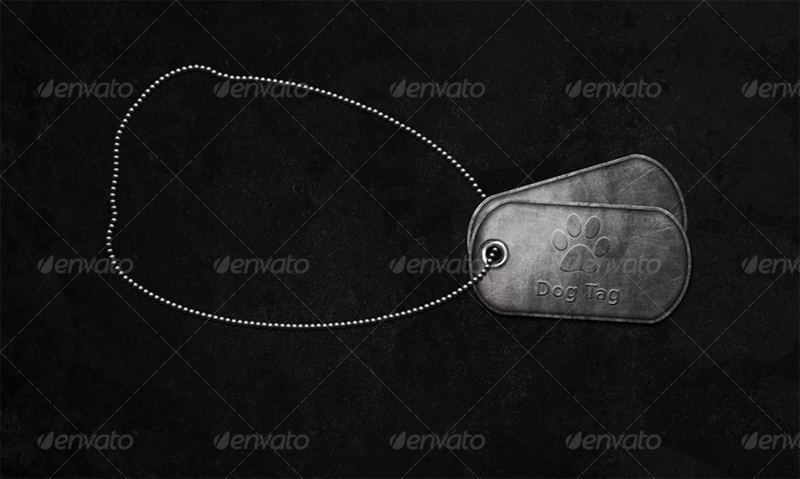 - Extremely customizable Dog Tag Chain. You can increase/decrease the size of chain and even you can change it’s placement the way you want. - You can move rotate and increase/decrease number of Dog Tags (Default is two).